You like to reference the neuroscientist Dr Eben Alexander's NDE experience regularly in your posts. If you want a fuller and more honest appreciation of my musings about Dr Alexander's book detailing his personal experience you may be surprised at how much I 'question', and some of the reasoning for my leaning towards brain capacity rather than 'heavenly' experience having actually read his book. It's one thing to rely on others to support your opinions, it's another to weigh the 'evidence' and come to a personal opinion while still leaving room for new information. It's also one thing to look over a fence and criticise your neighbour, and another to look keenly and honestly at your own back yard. For all we know maybe the bacteria is the intelligent part of human life form - maybe that's how Dr Alexander could have amazing clarity of consciousness when his brain was being eaten by meningitis. The truth is we DO NOT KNOW what effects & capacity the 95% have, nor do we know whether it increases or diminishes or what causes it to if it does. Human life is not the only intelligence at work here. The difference is I have said/used 'maybe the bacteria...' 'maybe that's how...'. You might be surprised at my sceptical veracity - outlined in this topic even titled "(not) proof of heaven (for me)"
I have read that Dr Alexander is writing a more scientific book on his experience, and I will look forward to reading that, particularly if he takes the Nu Complex data and information into account within his knowledge/capacity, and in what he may consider professionally / scientifically, and again what he may leave out. Unless you can point me to another neurosurgeon who has had this sort of experience, he's all we've got at the moment. Even before it is published I already know that I will likely struggle with the terminology used - but it's not beyond my capacity or willingness to sit with a science dictionary (or maybe google) and break it down. I don't make an enemy out of effort to understand, that's just what true open enquiry requires. Are you aware of your own willingness to be open to different perspectives? smiileyjen101 wrote: Unless you can point me to another neurosurgeon who has had this sort of experience, he's all we've got at the moment. Are you aware of these reports regarding the 'Proof of Heaven' doctor? 1. The 'Proof of Heaven' doctor faced a $3 million malpractice lawsuit when he fell into a coma. 2. Dr Eben Alexander was tied for the highest number of medical malpractice suits at the time that he fell into a coma following an E. coli infection. 5. He's reportedly sold over 2 million copies of his book, Proof of Heaven. Rob X wrote: Ah (straw man alert), I'm not blaming anything on scientific knowledge. I'm simply pointing out that there are likely to be things that are beyond the capacity of the human brain - therefore, science. I would argue that, that there are many "things" that are within the capacity of the human brain, but are beyond the capacity of scientific investigation. "Flying Pink Elephants" is one impossible thing that comes to Mind. Steve Jobs meeting Moses at the gates of Heaven is another. Rob X wrote: As I see it, it's as if we are looking through a keyhole and science attempts to explain (or describe) what's on view. But it's wholly reasonable to deduce that the view through the keyhole does not constitute the full extent of reality itself. The keyhole view represents the frequencies of reality available to the currently evolved biology of the human organism. Nice Analogy Rob... What is clearly not in the keyhole view of scientific investigation is the "six impossible things before breakfast". But lets get back to what we have really been in disagreement about. Rob X wrote: It seems unlikely, so why presume that the mysteries of consciousness will be revealed to a thumb-shaped brain like ours? The mystery you speak of Rob, is mainly due to lack of a universally accepted operational definition for Consciousness. Some philosophers like David Chalmers have concocted the so-called hard problem of Consciousness... who argued that it is intrinsically unsolvable, because qualities ("qualia") are ineffable; that is, they are "raw feels", incapable of being analyzed into component processes. Most psychologists and neuroscientists reject these arguments — nevertheless it is clear that the relationship between a physical entity such as light and a perceptual quality such as color is extraordinarily complex and indirect, as demonstrated by a variety of optical illusions such as neon color spreading. But like I stated earlier, at this stage it is way too early to make a final "declaration" - like Consciousness is irreducible to component processes. As clearly we have not reached a dead end, as the wiring diagram for the brain is still not even finished. Rob X wrote: There is no evolutionary necessity to have a view that goes beyond these frequencies. Science does a fine job at accounting for what is empirically available. But it might become clear that it would be a wholly anthropocentric conceit to assume that this represents a full (and to some degree, accurate) picture. Even now, reality is probably multi-layered/multi dimensional in ways that humans can have no cognition of - in the same way that the universe holds vast depths of potential comprehension and understanding that are withheld to an earthworm. I disagree that both the nature and origin of Consciousness should not be sought.... its a central aspect of cognitive functioning... it will help immensely in general understanding to have the origin and nature of Consciousness settled. But the perspective of an earth worm... who cares! But, I'm not throwing the baby out with the bath water. Have you read the thread on his book that I linked? Why do you feel the need to make an 'enemy' of Dr Alexander the person and not consider the breadth of the issue that he (and many others) has raised? Simply that neuroscience needs to broaden its scope. Why do / would you have an issue with that? Isn't that what science does every day? Ash said: I would argue that, that there are many "things" that are within the capacity of the human brain, but are beyond the capacity of scientific investigation. The mystery you speak of Rob, is mainly due to lack of a universally accepted operational definition for Consciousness. Whereas the philosophical approach to consciousness focuses on its fundamental nature and its contents, the medical approach focuses on the amount of consciousness a person has: in medicine, consciousness is assessed as a "level" ranging from coma and brain death at the low end, to full alertness and purposeful responsiveness at the high end. And until very recently brain life was thought to end at 'flat line' ...oops.. we found more!! (Nu Complex), better widen our perspective and sphere of recognition. Dr Venter said: "I can't explain consciousness yet, but like anything else it will be explainable at the molecular level, the cellular level and therefore the DNA coding level. If it is an aspect of cognitive functioning under certain conditions, why would you seek to exclude it? Hardly objective thinking. Or are you saying that you have already predetermined the scope of consciousness? .. nope, that can't be right, a scientist wouldn't do that, surely. ashley72 wrote: I would argue that, that there are many "things" that are within the capacity of the human brain, but are beyond the capacity of scientific investigation. "Flying Pink Elephants" is one impossible thing that comes to Mind. 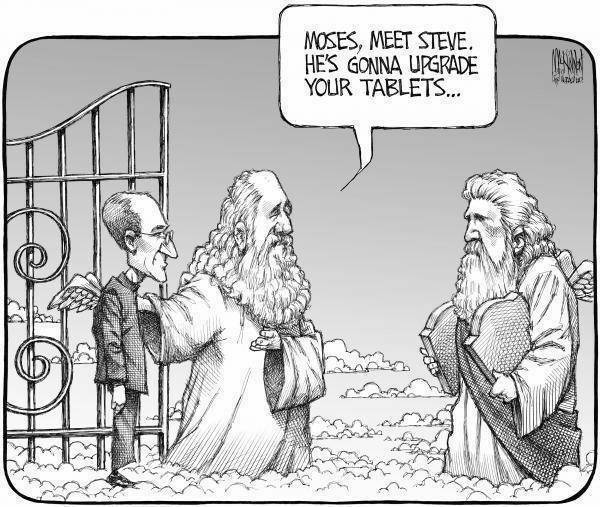 Steve Jobs meeting Moses at the gates of Heaven is another. Entirely irrelevant rejoinder. Only just salvaged by the laughing emoticon and the fun pictures. ashley72 wrote: I disagree that both the nature and origin of Consciousness should not be sought.... its a central aspect of cognitive functioning... it will help immensely in general understanding to have the origin and nature of Consciousness settled. Yet another straw man alert! I totally agree that research into consciousness is valid and valuable. I'm sure that it will yield some insights into cognitive functioning - there are many 'soft problems' (the medical approach) of consciousness that are potentially solvable. ashley72 wrote: But the perspective of an earth worm... who cares! Again, an irrelevant rejoinder. The earthworm is merely an analogy used to illustrate a point. The point being made here is that just as an earthworm (or mouse or dog or chimp) could never understand quantum theory, there are likely to be some problems/mysteries that are beyond the capacity of the human brain - therefore science. But the perspective of an earth worm... who cares! Darkness, but a visible darkness - like being submerged in mud yet also able to see through it. Or maybe dirty Jell-O describes it better. Transparent, but in a bleary, blurry, claustrophobic, suffocating kind of way. Consciousness, but consciousness without memory or identity - like a dream, where you know what's going on around you, but have no real idea of who, or what, you are. Sound too: a deep, rhythmic pounding, distant yet strong, so that each pulse of it goes right through you. Like a heartbeat? A little, but darker, more mechanical - like the sound of metal against metal, as if a giant, subterranean blacksmith is pounding an anvil somewhere off in the distance: pounding it so hard that the sound vibrates through the earth, or the mud, or wherever it is that you are. ..... At a certain point I became aware of some objects around me. They were a little like roots, and a little like blood vessels in a vast, muddy womb. Glowing a dark, dirty red, they reached down from some place far above to some other place, equally far below. In retrospect, looking at them was like being a mole or earthworm, buried deep in the ground yet somehow able to see the tangled matrixes of roots and trees surrounding it. That's why, thinking back to this place later, I came to call it the Realm of the Earthworm's-Eye View. For a long time, I suspected it might have been some kind of memory of what my brain felt like during the period when the bacteria were originally overrunning it. But the more I thought about this explanation (and again, this was all much, much later), the less sense it made. Because - hard as this is to picture if you haven't been to this place yourself - my consciousness wasn't foggy or distorted when I was there. It was just....limited. I wasn't human while I was in this place. I wasn't even animal. I was something before, and below, all that. I was simply a lone point of awareness in a timeless red-brown sea. Dr Alexander's point in this is that within current neurological understanding the external evidence of his medical condition would not support even this level of 'awareness', consciousness as being possible. So in some ways supporting Ash's conclusion that the human brain is capable of more than science can capture, mostly because scientific methodology does not allow for acceptance of one off, personally recalled experience as valid. Even if those one offs are multiplied by thousands, even hundreds of thousands of personal accounts deeming that there is 'more' levels of consciousness than science can 'accept' within the limited knowledge base (less than 5%) and within scientific practice. None of this stops consciousness from being experienced at these other levels, just the scientific acceptance of them. The discovery of Nu Complexes (beyond flat line) - charting brain activity at 'lower' levels than previously captured in scientific data (& replicated in cats) shows only that there is 'lower' recordable activity. In my mind it would be reasonable to accept our ignorance and factor it in when discussing the experiences of others, rather than the notion that if it's not in the already known bag of 'psuedo order' collections, then it does not and can not exist. In practical terms it would rewrite many of the inaccurate diagnoses of mental and physical conditions that have only been based on the known-in-science, rather than the experienced-in-life. The frustrating thing for me is that many already had / have this knowledge and were persecuted and dismissed because it was / still (often) is, outside of the 'order' that egoic humans are trying to create around them selves and knowledge, seeing it as a 'battle' rather than what 'is'. I've been playing with this idea myself lately - do you think there is any point arguing with anybody about anything? What I often witness is the cycle of close-mindedness when people to and fro about matters. Positions get more and more entrenched. If anything, it becomes harder for the receiver of your arguments to let go. The ego has a field day with this stuff. Maybe it's better to let everyone think what they want, throw your observations into the mix, without trying to change opinions, and mind not for the reaction that inevitably comes. If people are ready to receive, they'll enquiry some more. Passionate discussions don't have to be taken personally, or even be considered as arguing - even if they are presenting different 'arguments' on a thing. I know I've learned heaps from discussions with Ash, and we have both changed our perspectives on lots of subjects even in the time that we've both been participating here. Like most things though if fear and ego creep in, it's 'different' it has a different quality of experience. One can never know what a seed contains until it blossoms. peas wrote: What I often witness is the cycle of close-mindedness when people to and fro about matters. Positions get more and more entrenched. If anything, it becomes harder for the receiver of your arguments to let go. The ego has a field day with this stuff. Aw… and we wuz having such fun. My story is (the only) right! peas wrote: I've been playing with this idea myself lately - do you think there is any point arguing with anybody about anything? Following on from Seng-Ts'an's insightful message above.....emotional response can “take over” the rest of the brain in a millisecond if threatened. 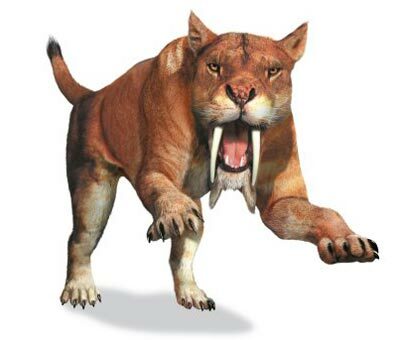 Today the threat is symbolic (“he’s not treating me fairly”), but we respond with the same biological response that we did if we were being threatened by a saber-toothed tiger. Humour and empathy are traits that can de-escalate conflict and help move toward a working consensus of how to handle opposition due to separation – while emotionally unintelligent behaviour such as visible anger creates infection of unpleasant emotions, and makes it tough to get anything resolved. Both Jen & I often use humour & empathy to keep our debates civil. At times we may both cross the line if we are not empathetic of the other person's feelings... that's why being empathetic, sympathetic, compassionate responses are important human traits to maintain whilst dealings with others (good old mirror neurons spreading the love). People who lack empathy like psychopaths are very dangerous individuals who frequently cause havoc or unrest in dealings with others. Rach said: My model is sharing stories around the campfire. Nice seed! - It took me there. Ash said: Both Jen & I often use humour & empathy to keep our debates civil. Peas, around the camp fire of this somewhat limited medium and in and out of the mind-stuff we learn nuances of people's individual expressing, one of the greatest things we can learn is to go beneath and beyond the separation - Ash & me for instance he might run a mile, but we really are one. It's been incredible for me to so openly hear his (often totally opposite) views and experiences - it's even funny that he was agoraphobic and I was claustrophobic - neither better or worse, just different experiences. We are often very much the yin and yang of 'stuff' and our empathy allows for the full expression of each of us in all our gory/glory. It might take a while for the gold to come to the surface sometimes, or for questions to be asked in a way that allows them to be answered, but what is never in question is that gratitude and generosity energy allows us to build the fire that we're all metaphorically sitting around, fear would only extinguish it. As an aside cultural influences are also fleshed out. Ribald and passionate discourse may scare those who are not used to it.